How can we achieve and sustain a “decent” liberal society, one that aspires to justice and equal opportunity for all and inspires individuals to sacrifice for the common good? 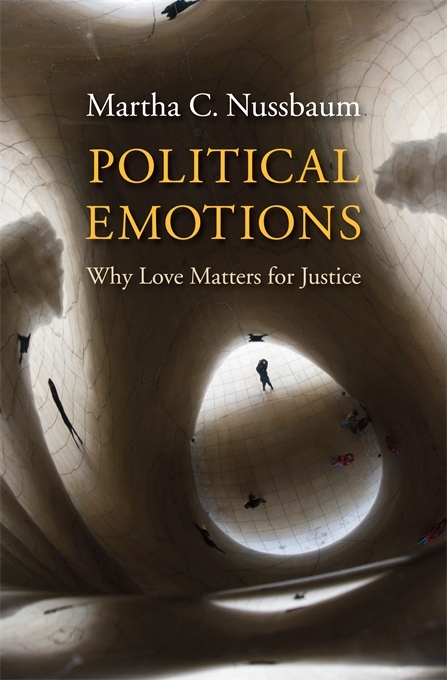 In this book, a continuation of her explorations of emotions and the nature of social justice, Martha Nussbaum makes the case for love. Amid the fears, resentments, and competitive concerns that are endemic even to good societies, public emotions rooted in love—in intense attachments to things outside our control—can foster commitment to shared goals and keep at bay the forces of disgust and envy. Great democratic leaders, including Abraham Lincoln, Mohandas Gandhi, and Martin Luther King, Jr., have understood the importance of cultivating emotions. But people attached to liberalism sometimes assume that a theory of public sentiments would run afoul of commitments to freedom and autonomy. Calling into question this perspective, Nussbaum investigates historical proposals for a public “civil religion” or “religion of humanity” by Jean-Jacques Rousseau, Auguste Comte, John Stuart Mill, and Rabindranath Tagore. She offers an account of how a decent society can use resources inherent in human psychology, while limiting the damage done by the darker side of our personalities. And finally she explores the cultivation of emotions that support justice in examples drawn from literature, song, political rhetoric, festivals, memorials, and even the design of public parks. “Love is what gives respect for humanity its life,” Nussbaum writes, “making it more than a shell.” Political Emotions is a challenging and ambitious contribution to political philosophy.